This course is highly adaptable and can be designed and delivered in a variety of formats to meet the needs of participants - it's relevant for employees working for a company that's facing transformation and change, individuals exploring how they can progress or transition in their career, or organisations keen to develop the career paths of their managers and employees. These days very few people stay in the same job for the whole of their working life. Even within organisations there's often a degree of internal movement which both employers and employees need to manage effectively. More and more employees are seeking flexible working patterns and additionally the concept of 'portfolio' careers (where people carry out a number of different roles and responsibilities simultaneously) are also becoming increasingly popular. In today's fast-paced world, individuals need to master the skills necessary to effectively plan, develop and manage their careers. This means being adaptable and proactive in developing knowledge and skills and seeking out opportunities, rather than expecting this to automatically come to you. Developing a high level of self-awareness is also essential to find a career where you can use your strengths and key skills. This will help you find a job that's a 'good fit' for you, where you're more likely to thrive and enjoy what you do. Being willing to explore and experiment can also help you to identify new career opportunities that you may not have otherwise considered. There are many reasons for wanting to make a career change or to progress or develop your career. You may be feeling bored or stressed in your current role, or seeking a better life-work balance, or you're seeking more purpose, meaning and fulfilment through your work - or you simply want to improve your salary, working environment or remuneration package. This programme can help you at whatever stage you're at in your career. 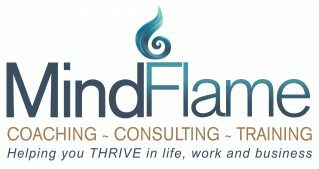 MindFlame can adapt this course to fit the needs of participants and will tailor the content accordingly to the time available and each client's needs. This course can be run as a one day workshop or as a two or three day session - or broken into several shorter sessions. Follow-up coaching is also available if required to provide individual or team support which increases engagement, application and learning. * Please note exact course content will depend upon each client's needs and the time available for each session - this will be agreed and discussed with you in advance.